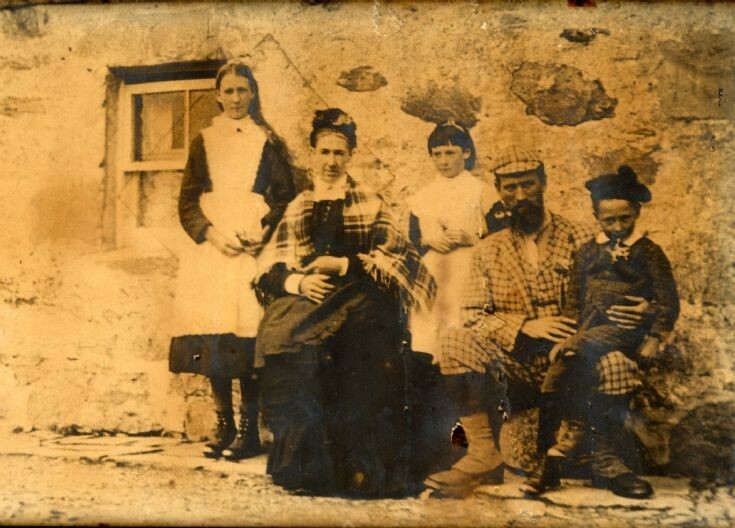 Elizabeth junior, Elizabeth senior, Jane Joseph and Donald McCook at Ben Alder Cottage. Probably about 1908. Elizabeth was to be the Mother of the redoubtable Donnie Wilson. Donald McCook fell in action with the Lovat's Scouts in 1917. He lived at Dunan near Bridge of Gaur. His grave is near Ypres in Belgium (photos to follow).